Upsetting 2011 U.S. Open champion Samantha Stosur, the teenager pulled a stunning win in what's only her second Grand Slam match ever. Seventeen-year-old Victoria Duval dropped the first set to Australian Samantha Stosur, but the young American battled back to take the final two on Tuesday, pulling the biggest upset of the US Open so far. Duval overcame 35 unforced errors for her first ever Grand Slam victory, 5-7, 6-4, 6-4. The former US Open champion was on the ropes in the third set, with Duval serving for the match up 5-4. But Stosur fought off two match points before Duval's forehand winner buried the Aussie. 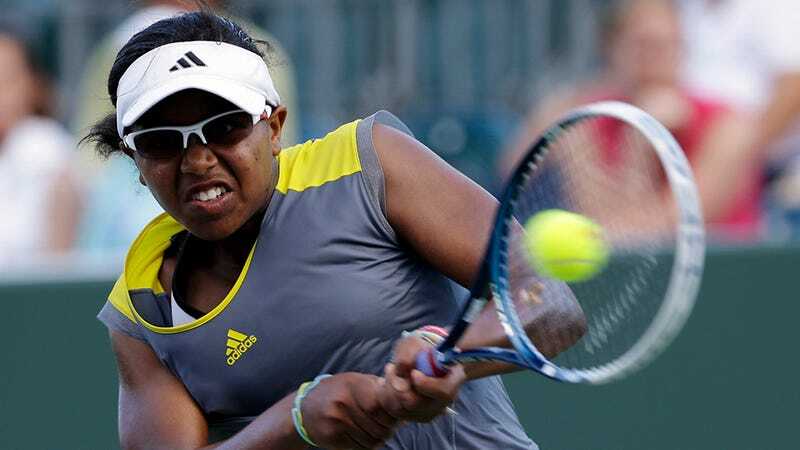 According to the Caribbean Journal, Duval was born in Miami but spent much of her youth in Port-au-Prince, spending time training at the JOTAC Tennis Academy in the capital. She now trains in Bradenton, Fla., and has worked wonders in improving the state's image with just a few excellent forehand shots.